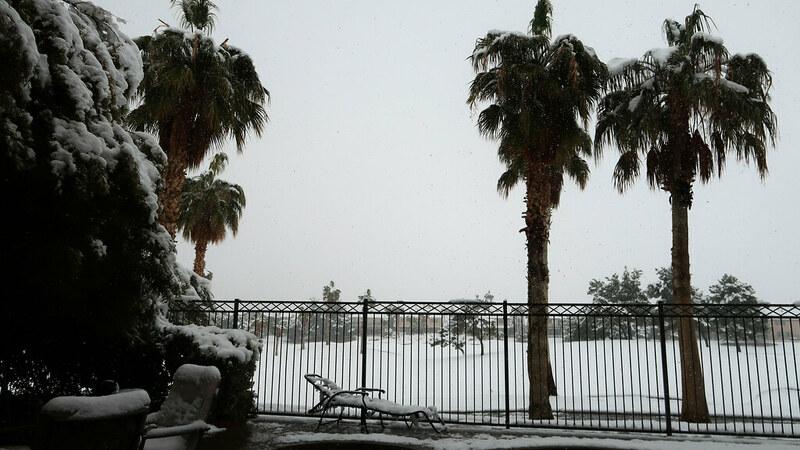 Yes, it is snowing in Las Vegas. No, I did not Photoshop in the snow. 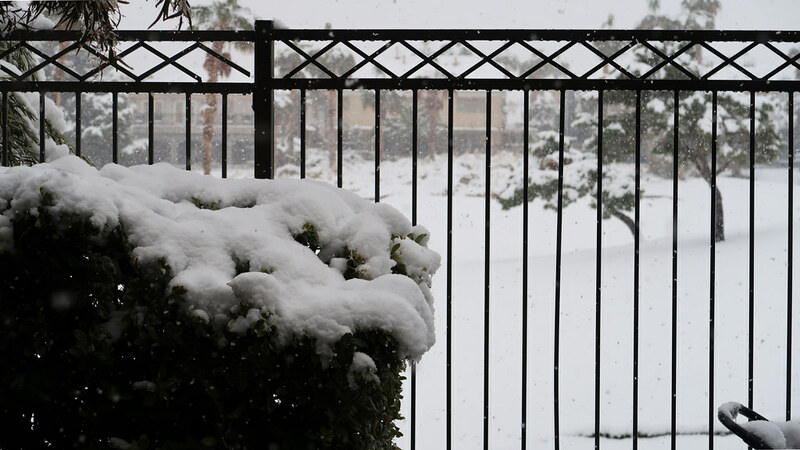 I haven’t been around in Las Vegas for that long, so I don’t have any prior first-hand experience with snow in the desert city, but I’m hearing that there is usually noticeable snow about once every 3-5 years. However, I’m also hearing that having this much snow piling up and actually sticking to the ground is extremely rare – closer to happening once every decade or so, most recently in December 2008. 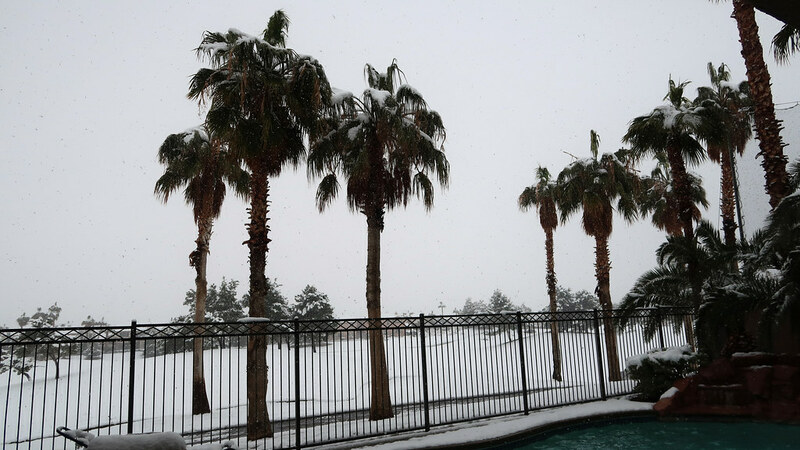 So, as we can obviously see at this point, just because Las Vegas is in the middle of the desert and is one of the (if not just straight-up the) least humid cities in the United States doesn’t mean that it doesn’t get cold and there isn’t precipitation. 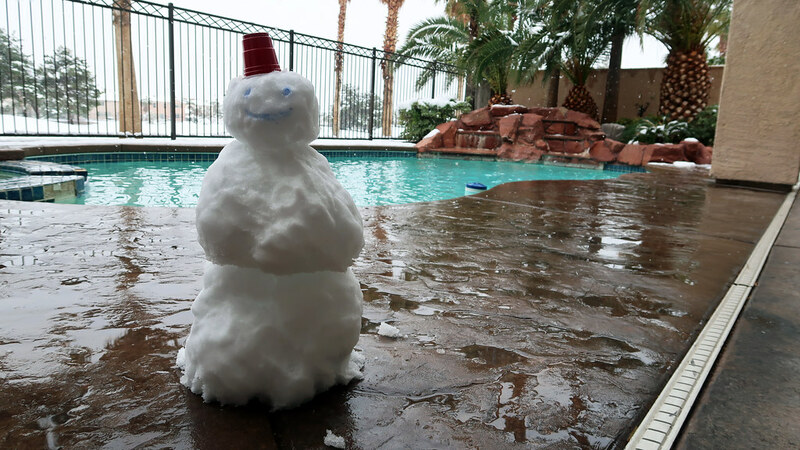 People still wear coats in Las Vegas in the winter, and on occasion, have the privilege of building snowmen. Unfortunately, after the snow stopped falling and it became midday, temperatures rose to the mid- to upper 40s in Fahrenheit, and the snow melted pretty quickly. I captured a final photo later on in the day as I was headed back to the house after getting some food, and the only remaining snow was high up in the mountains.